Billionaire Elon Musk may be running SpaceX, Tesla, Hyperloop, The Boring Company, and Neuralink, among others but that doesn’t stop him from showing his love for the memes. After surviving a near-fatal experience from the bombardment of the darkest memes known to the humankind, the billionaire is determined to step up his meme-game. Not that it is our business to know what Musk is smoking this time around, but the Tony Stark of the real world has expressed a desire to host the Meme Review – a popular show run by YouTube king Felix Arvid Ulf Kjellberg aka PewDiePie, on which the Swedish gamer hunts for the funniest memes on Reddit and goes on to review them. Needless to say, the tweet set the Internet on fire and a possible collaboration of Musk and PewDiePie would only mean one thing – more memes! Taking note of his tweet, PewDiePie quickly responded to Musk’s tweet. we need this!” Pewds wrote. 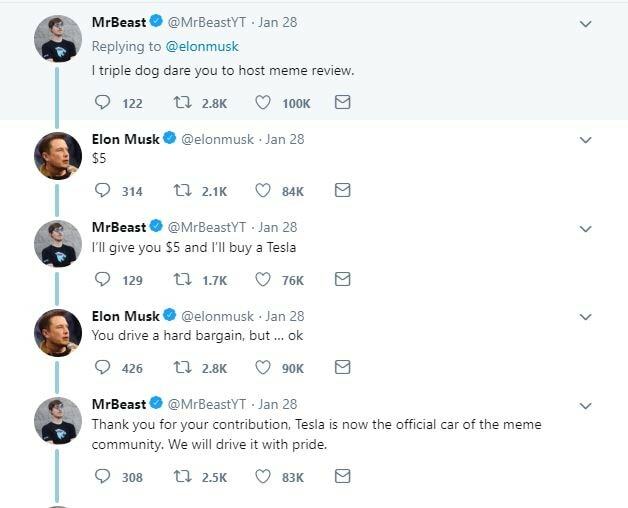 Mr Beast, another popular YouTuber, was thrilled by the news and engaged himself in some fun banter with Musk. Jacksepticeye, another YouTube star, couldn’t comprehend the crossover that everyone had asked for months. Naturally, Twitterati lost their collective calm. Meme review will only take 10 minutes of your time. LWIAY will only ask for 5. An interview with Gloria Borger on PewNews 20. That is a total of 35 minutes of your undivided attention. Mars can wait. Global warming can wait. PewDiePie cant. Help your people. Thank you. It’s easy to let the war, famine, and widespread sadness confuse us. 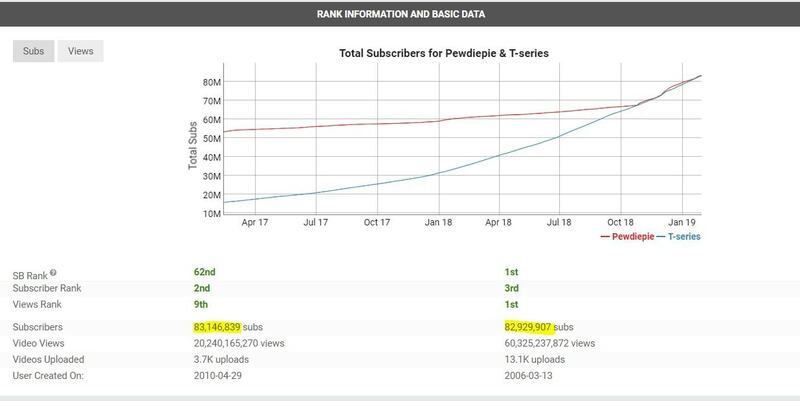 The big collaboration (if it happens) could mean a possible boost to PewDiePie’s subscriber count, as the Swedish YouTuber, who has been in a subscriber war with an Indian music label T-Series for months, may soon be dethroned from his #1 spot. The difference between the top two YouTube channels has reduced to 200K.